My last post was all about my event in Madrid, but here's one thing I didn't tell you about it. I know that on the outside, my events look all glamorous and glowy, but trust me, this is freaking hard glow work on the backend! I almost had a nervous breakdown one hour before my event started! I woke up at 8am on Saturday, ready to get excited for my beloved Glow School Event with my VIP ladies from all over the world! I had 8 women signed up for this mini weekend retreat and could not wait to get started! I got a message from one of my girls. She had been sick for a few days and was hoping to make it, but she just couldn't get on the plane with her illness. So far so good, things like these can happen, and that's totally normal. But there I had 2 more messages... Two more girls cancelled last minute. I started to take this personal! Why would someone not come to MY event? Why would someone cancel so last minute? Why did I even setup an event like this, spend thousands of dollars to organize everything, and people just don't appreciate it? What did I do wrong, UNIVERSE, that this is happening to ME? Oh my, I was being such a b*#$ to myself! Total victim. Total not glow mode at all! Even though I knew it had NOTHING to do with me, I let my EGO run the show. I was so close to shedding tears, just be frustrated all day, and call it a "bad day". I was almost unable to get my energy back up, and decided to reach out to my Mastermind sisters. I'm in a high level Mastermind with women from around the globe, and know that there's always someone there to support. Yes, I asked for help, because sometimes, I can't figure everything out on my own! Thank Goodness there is the internet and WhatsApp! LOL! So what I did next completely changed my day. I took the decision to feel better! I decided to focus on what IS working, instead of focusing on what's NOT working. I had everything perfectly prepared and was totally ready to rock this event! I decided to focus on all the women who WERE there and travelled to join my event, instead of focusing on the women who were NOT coming and having my mean girl make up stupid stories in my mind. I decided to tap back into my solar plexus energy and shine my light for the people who needed it, instead on focusing on all that negative energy I was cultivating and making up myself. What's in this for me to learn? What's the lesson from this? What's the universe trying to teach me with this situation? What's the GOOD in this? I wrote a gratitude list for about 5 minutes, and my energy instantly shifted and I was back on track, ready to go out to meet my girls and shine my light! I am so happy I did this!! The situation was still the same, but I shifted my perspective and my energy on how I REACTED to the situation. All in my control. And we started the event with lots of glow and glam, and it was transformative for every single woman - definitely including myself! Let me ask you something: what are 3 things you know you should be doing, but you're not doing? Most people KNOW that meditation is good, drinking juices and smoothies is healthy, and that sleep is important. BUT THEY STILL DON'T DO IT! Knowing something would be good for you is not enough. It takes more to actually CHANGE things in your life and implement new habits. It takes action. And sometimes, taking action alone is kinda boring, and often doesn't work. Lol been there, done that! Sometimes, we need the support of others to hold us accountable. And that's where your glow sisters come in. This Mastermind will help you do exactly that. Over the course of 8 months, we are going to gradually implement new habits into your health, your creativity, your love, and your life and turn your current life into a glowing life. Please note: This is NOT another diet, another challenge, or another course. This is a life-changing experience where you ACTUALLY need to get moving and take action. You kinda have to be fully committed to uplevel your health and your life with this powerful group of women! Is it time for a better story? This program is about shifting your identity. This program is about you becoming a new woman. You can totally do this! Since this is a next level coaching experience, I only work with a very intimate group of women in this Mastermind. If this sounds like exactly what you are looking for to shift your life into a more aligned, healthy and happy place, click here to fill in your application and tell me more about why you want to be in the mastermind! I will then reach out to you to schedule a call for the next step! You ready? 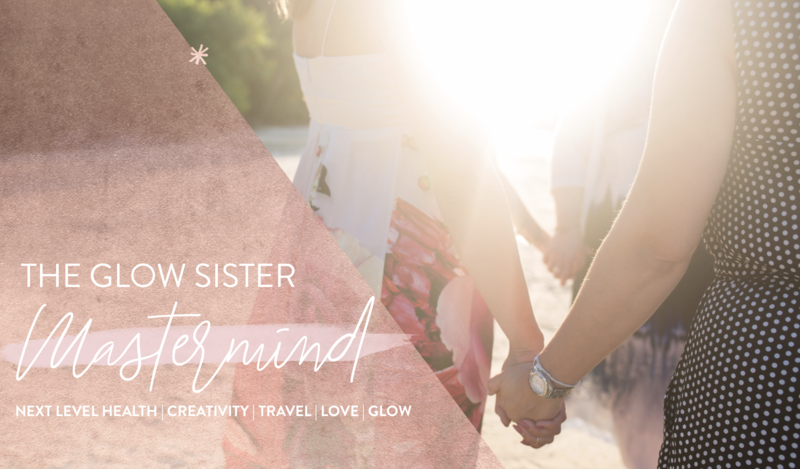 As a side note: In case you are considering joining my Bali retreat and your intuition is telling you that you want the Mastermind, too, I have a special promotion going on to combine the two! Just apply for a call for details! Let's shift your identity and start that glowing life for good! Click here to apply now.